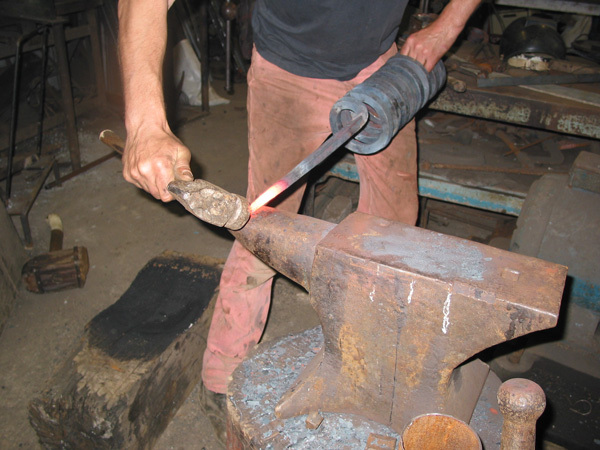 This large, in fact barely portable, cellar stick (one of a pair) posed a few problems in the making due, quite simply, to its’ size. 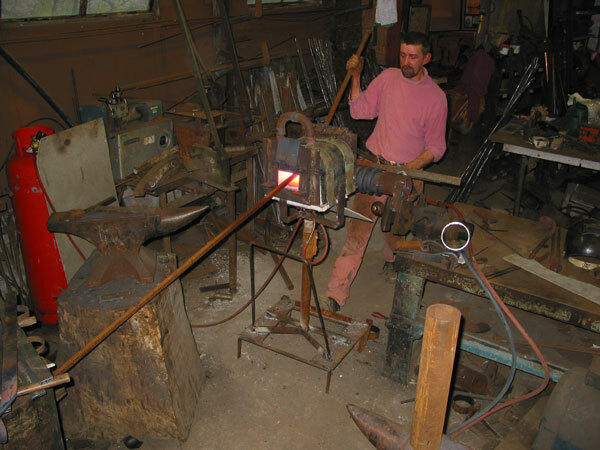 Made from 20 mm square bar, and standing about 2 foot high, operations that had been very straightforward on its’ more conventionally sized ancestor (seen in the background) became rather more challenging. 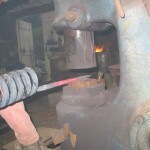 The pictures that follow illustrate some of the processes…. 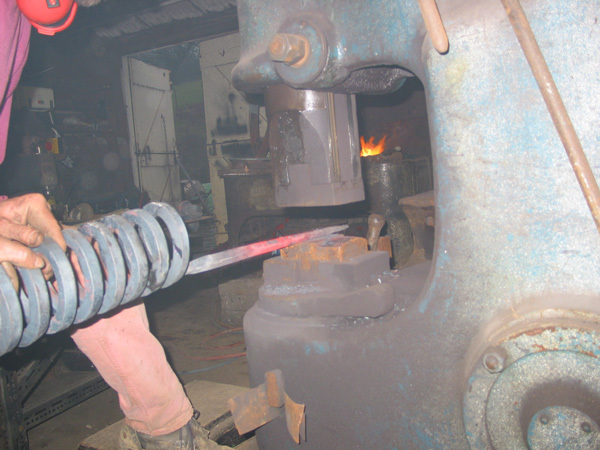 The first three images show the contraption, fixed to the front of the hot box, which allowed the coiling of the bar in a controlled manner. 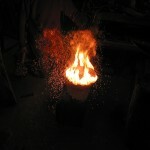 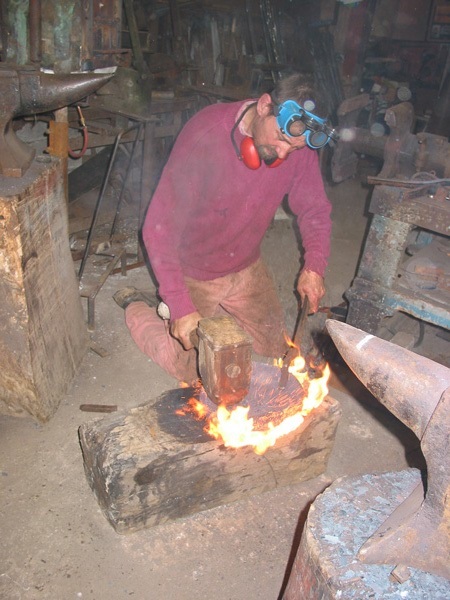 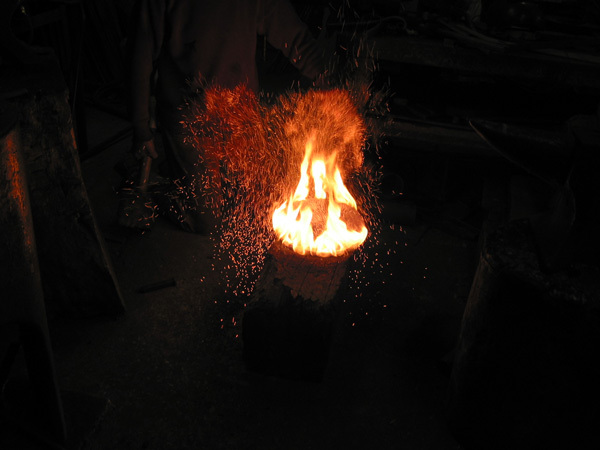 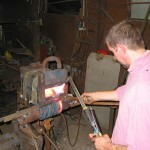 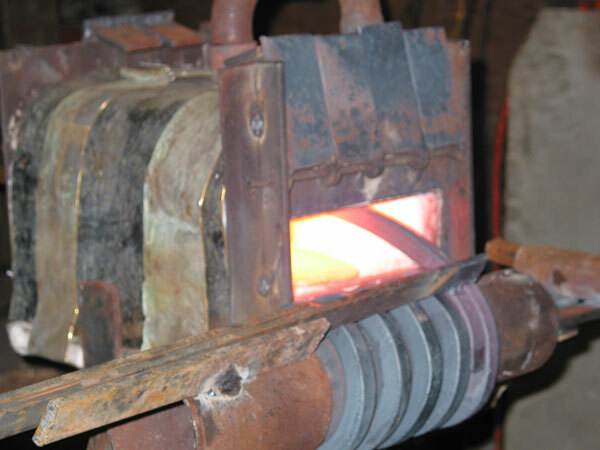 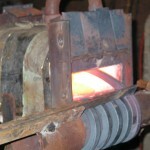 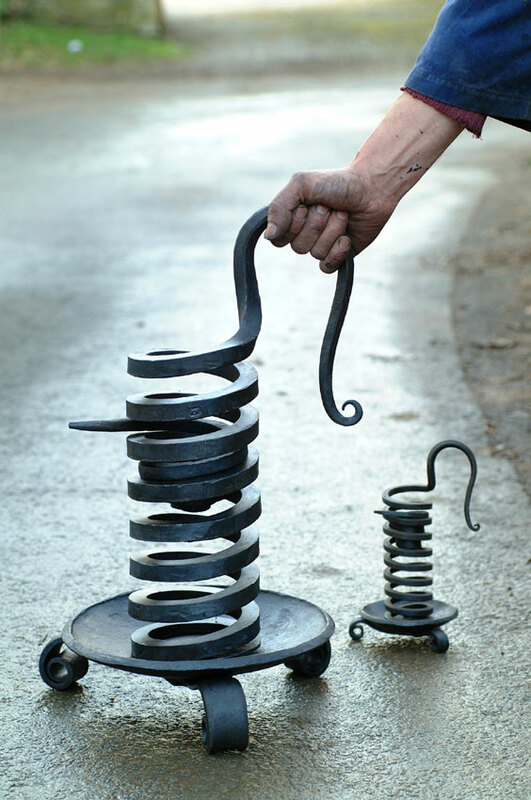 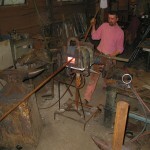 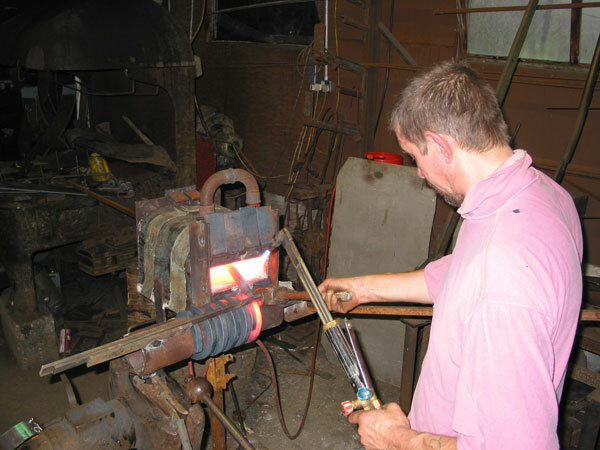 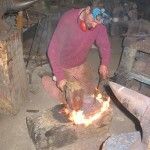 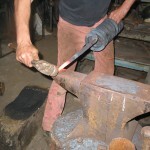 The dishing of the base plate (300mm diameter by 8mm thick) follows and the forging out of the handle form the coil.